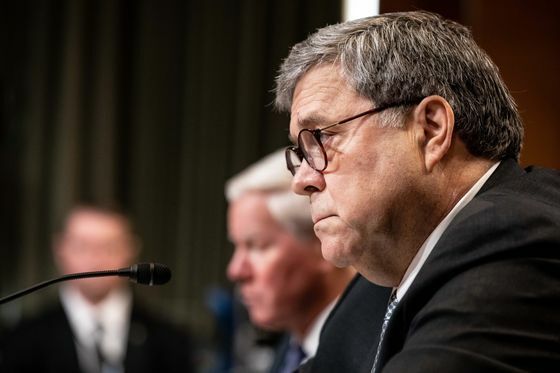 (Bloomberg) -- Top House and Senate Democrats sharply criticized Attorney General William Barr for testifying that he believes the FBI and possibly other U.S. intelligence agencies spied on members of President Donald Trump’s 2016 campaign. "Your testimony raises questions about your independence, appears to perpetuate a partisan narrative designed to undermine the work of the special counsel, and serves to legitimize President Trump’s dangerous attacks on the Department of Justice and the FBI," the Democrats said in a letter to Barr on Thursday. Trump told reporters Thursday that what Barr said was "absolutely true," and added, "I’ll go a step further, in my opinion, there was illegal spying, unprecedented spying." The Democrats said they also are not satisfied with Barr’s assurance that he will explain why he is redacting parts of Special Counsel Robert Mueller’s report, which the attorney general plans to turn over to Congress within a week. The party leaders want access to Mueller’s entire report on Russian meddling in the 2016 election. The letter was signed by House Speaker Nancy Pelosi of California; Senate Democratic Leader Chuck Schumer and House Judiciary Chairman Jerrold Nadler of New York; Senate Judiciary top Democrat Dianne Feinstein and House Intelligence Chairman Adam Schiff of California; and Senate Intelligence Vice Chairman Mark Warner of Virginia. "We acknowledge that there may be legitimate reasons for withholding some of this information from public view," they added. "As recent precedent makes clear, however, the Department of Justice has no legitimate reason for withholding these materials from Congress." Barr appeared before a House Appropriations panel Tuesday and a Senate appropriations panel on Wednesday. During the Senate hearing, he confirmed a Bloomberg News report that he was assembling a team for a Justice Department review of the FBI’s Trump-Russia investigation and how it began in 2016. "Spying did occur" on the Trump campaign, Barr said regarding the investigation’s early stages. He added that it is "a big deal." 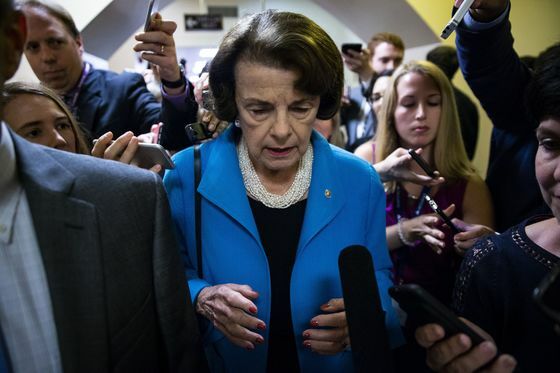 The Democratic lawmakers expressed "profound concern" about Barr’s "apparent review" of the Russia investigation. Barr said rules are in place to ensure there’s an adequate basis before government agencies "get involved in political surveillance." He said one of the main things he wants to find out is whether the investigation was "adequately predicated." "I’m not suggesting that those rules were violated. But I think it’s important to look at that. And I’m not talking about the FBI, necessarily, but intelligence agencies more broadly," he said. The investigation into Russian election interference was ultimately turned over to Mueller, as an appointed special counsel. Barr later seemed to soften his assertion, saying, “I just want to make it clear, thinking back on all the different colloquies here, that I am not saying that improper surveillance occurred."